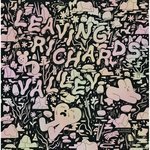 While we are on the subject of the King of Comics (you can't knock Stan [for bestowing this title on Jack] on this one), we would be remiss if we failed to mention this long-in-the-works tome by the widely respected comics scholar, Charles Hatfield, whose previous work of comics scholarship, Alternative Comics: An Emerging Literature, is a widely used academic text in the emerging academic discipline of comics studies, and whose online writings on comics have been widely followed and commented upon. We have yet to do more than dip into this book, so it looks like it's up to Grant Morrison to let you know what he thought of it: "I've been waiting a long time for a book like this about Jack Kirby, and Hand of Fire rewards with an engrossing page-turner to be read and re-read. Kirby fans like me will be delighted by the smart and detailed analyses of everything from his personal influences to his pencil technique. But anyone with a keen interest in the human creative process, the fruits of the American working class postwar imagination, and the life and times of a genuine pop art visionary will find inspiration here, too. Mixing his scholarship with a lively and engaging turn of phrase and page after page of fresh insight, Charles Hatfield explores the highs and lows of 'King' Kirby's career, as well as his often turbulent relationships with collaborators like Stan Lee, and his ever-growing legacy. 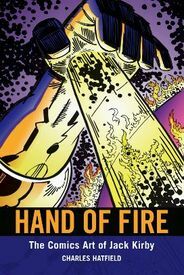 Hand of Fire is radiant with the 'Kirby Krackle' of energy and enthusiasm, a fitting tribute to a unique creative genius." 'Nuff said?